Rocco Fumento and Tony Williams present the final version of Robert Rossen's screenplay for Jack London's ""The Sea Wolf"". Released in 1941, this classic film was directed by Michael Curtiz and starred Edward G. Robinson as Wolf Larsen, John Garfield as George Leach, Ida Lupino as fugitive Ruth Webster, Alexander Knox as writer Humphrey Van Weyden, and Howard da Silva as Harrison. Both the novel and the film feature a hard-luck assemblage condemned either by savage coercion or pure evil fortune to sail aboard the ""Ghost"", a seal-harvesting vessel commanded by a power-mad tyrant - the aptly named Wolf Larsen. 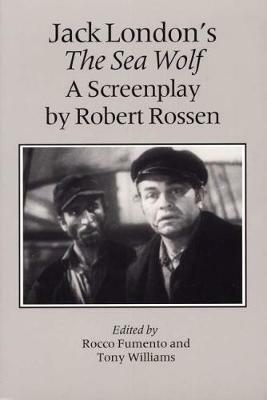 Discussing the process of turning literature into film, Fumento and Williams analyze in detail the differences between London's ""Sea Wolf"" and Rossen's screenplay. Re-creating the world into which the movie emerged, each editor provides a separate introduction. Fumento analyzes the role of Warner Brothers in determining relevant production and allegorical features of the final film version. Williams describes London's reasons for writing the original novel in 1903, its appeal for the cinema, the different film versions - at least eight - that have appeared, and the social and historical context influencing Rossen's screenplay.